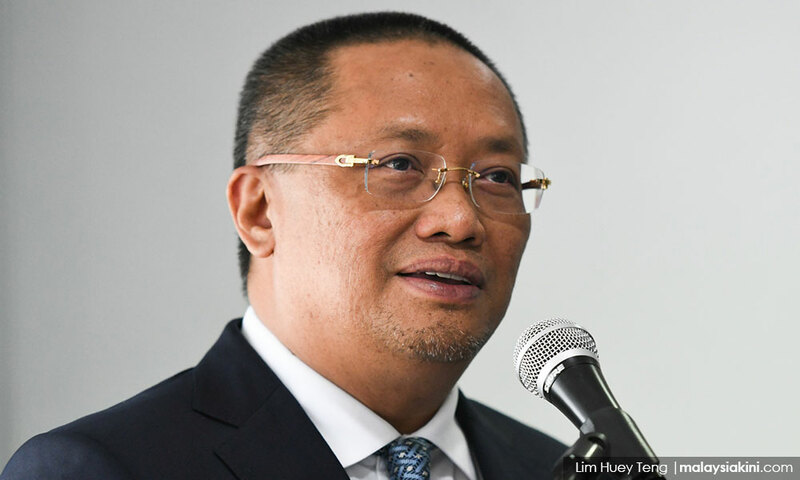 Minister in the Prime Minister’s Department Abdul Rahman Dahlan has taken the opposition and their media proxies to task over what he described as a continuous attempt to sabotage the Malaysian economy. According to him, their fake news did not reflect what global institutions such as the World Bank said about Malaysia. The opposition-controlled media such as Malaysian Insight and The Edge continue in their disgraceful campaign to sabotage the Malaysian economy for their own selfish political gain, causing harm to the people’s economic welfare. Most recently, they have taken the latest report by the World Bank on East Asia, and blatantly lied about what it says about Malaysia. However, in reality, this is what the report actually says: “Malaysia is expected to grow more rapidly, reflecting improved confidence, higher investment, and the recovery in world trade.” That alone is a testament to the success of the government’s long-term plans that have delivered for all Malaysians. Let us go into more detail: “Several governments have succeeded in reducing fiscal deficits in 2017, notably Mongolia and Malaysia, but deficits remain high or are on track to increase in many others.” That is because the government has taken the hard decisions that may not be popular but are in the real interest of the people – while others have not. The report also says: “Growth in private consumption spending and rising exports of both primary commodities and manufactures contributed to Malaysia’s accelerating growth. GDP grew by 5.6 percent in Q1 2017 and 5.8 percent in Q2 – its best performance since Q1 2015” which doesn’t sound like a worsening economy, as the opposition-led media would have you believe, does it? They also state: “Malaysia recalibrated its budget to lower world oil prices in 2016, which has brought its fiscal consolidation programme back on track.” This acknowledges that a responsible government has done what was necessary to keep the economy on track. Furthermore, in a reflection of the confidence other countries have in us, the report states “net FDI inflows continued to rebound in Malaysia.” It is appalling that the opposition and their media proxies try to lower confidence in Malaysia instead. Far from opposing GST (Goods and Services Tax), as the opposition does, the World Bank actually urges it to be more widely applied: “Priorities for Malaysia should include broadening the base of the personal income tax, and reducing exemptions from the general sales tax.” Funny, the opposition-controlled media didn’t mention that! It says that Malaysia is “among the top tourism destinations in the world, as measured by the total number of international visitors. Overall, the region benefits from good air transport infrastructure but has some lagging countries. The number of takeoffs (domestic and international) per capita can be used as an estimate of the effectiveness of the country’s air transport infrastructure. “GDP growth in Malaysia accelerated during the first half of 2017 to 5.7 percent (year-on-year), supported by strengthening domestic and external demand. As a result, Malaysia’s economy is expected to grow at 5.2 percent in 2017. The outlook remains positive as the Malaysian economy continues to experience broad-based growth across a range of diversified sectors. The Malaysian economy is expected to sustain its current growth momentum into 2018 and 2019, albeit at a more moderate pace amid expectation of lower capital expenditure growth. There is nothing “selective” about these quotations. Anyone who says so should read the report in full. While it naturally warns about the dangers of external risks, it is full of praise for how Malaysia is doing. Its overall verdict puts the lie to the unpatriotic allegation that the Malaysian economy is expected to worsen. Expected by who? Only those who care for their country so little that they hope it does badly for their own selfish political gain. “The Malaysian economy is progressing from a position of strength.” (June 2017). This is the true record of the government under the leadership of Prime Minister Najib Abdul Razak. All Malaysians should be proud of that economic record. All those who lie about it for political ends should be ashamed – for they shame their country and their fellow Malaysians. Their fake news does not stand up to the scrutiny of what global institutions say about Malaysia. They know that this government has an economic plan – and the plan has delivered and is continuing to deliver for the benefit of all Malaysians.